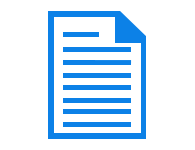 MOBI reader tool is a fast and absolutely free utility to access MOBI files on Windows 10 and earlier editions. A user can zoom in and zoom out the displayed page from software panel itself by clicking on the buttons provided with our software. A user can open MOBI file of any size in this free viewer without facing any complications. After browsing Kindle MOBI file in this MOBI viewer, software will display header description of source MOBI file. 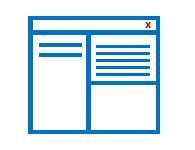 The tool will try its best to extract and load all information related to MOBI file header. The information comprises of Author Name, Updated Title, Publisher, Imprint, Subject, Published Date, Contributor, Rights, ASIN, and Source of the MOBI file. The developers of Mobipocket reader had designed the application in very simplified manner. There is no need of any additional training to use this product because it is planned and developed with very few amount of technicalities. 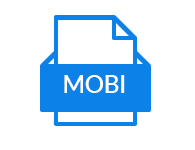 Moreover, a file is loaded in MOBI viewer tool without harming its original structure and file format of source file. Mobipocket viewer is capable of showing complete pages of MOBI file. You can view pages one-by-one without experiencing any kind of interruption while reading electronic book. In addition, you will also be able to see images, tables, or any other objects used in the content with help of MOBI reader. The software is easily compatible with all latest version of Windows operating system. Step 1 Launch Mobipocket reader application to start working with our product. Step 2 Now click on File button and browse towards the location where Mobipocket file is located. Then, select the ebook and click on Open button. Step 3 In the current wizard, you will find the header information of MOBI file on left hand side and on right side you can preview the content of source file. Step 4 Click on Open button for loading whole file in window of Mobi reader tool and thus you will be able to view Kindle MOBI file on your machine. Will I be able to open Kindle files on PC with help of MOBI viewer? Yes, if you are having Kindle file in .mobi extension then, you surely be able to open Kindle files on your computer. My MOBI file has gone corrupted due to improper file transmission and presently an urgent need for reading this file has occurred. Will your software support such file? 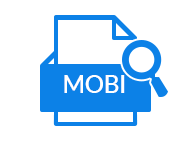 Yes, MOBI file reader supports corrupted as well as damaged MOBI file and thus, enable users to view any type of MOBI file with it. When I am trying to open MOBI file on PC, I face an error message i.e., Kindle MOBI files not showing. Will your tool resolve such errors related to MOBI file? Yes, Mobipocket viewer will fix all types of errors related to MOBI file. You can enjoy reading of your ebook file without any interruption with help of our product. Will I be able to view MOBI file on Android with this free utility? No, this MOBI file reader is only for all latest versions of Windows. Any version of Windows supports MOBI file viewer. I am having MOBI file of 1.3 GB size. Will your freeware support ebook file of this size? Yes, there is no file size limitation appended with our Mobipocket reader software. Without any doubt, you can read ebook content with help of this viewer without any interruption. 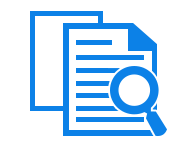 "I was in search for a simple app which provide me facility to read MOBI files on PC and this software did the same. Easily open & read any type of eBook file format in Windows Operating Systems. I would proudly like to title this application as best MOBI reader for Windows. Headoff to the developers who initiated such product. Thank you for the perfectly developed eBook reader software." "I was facing one or the other problems in transferring MOBI files to Kindle. Therefore, it was becoming difficult for me to view MOBI file on Kindle. I started searching for some other free app that enable me to read ebook without any hassle and then I came across this product. This was the application that I want. Seriously, its very easy to read ebooks for free with this MOBI viewer."